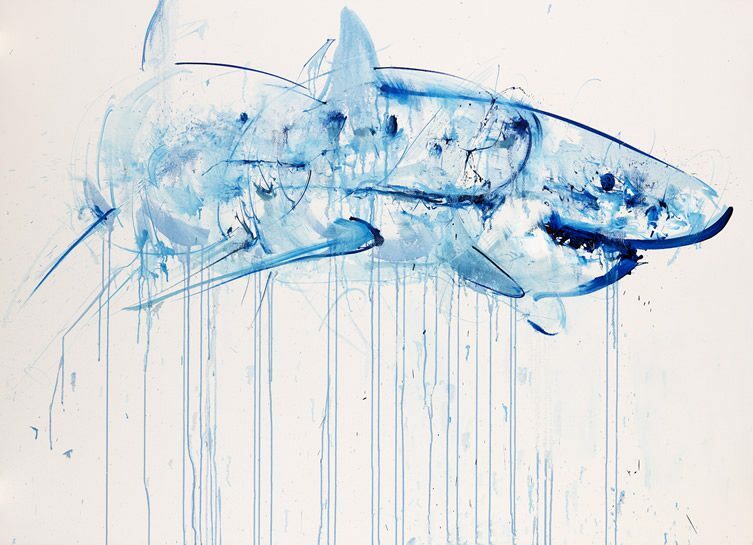 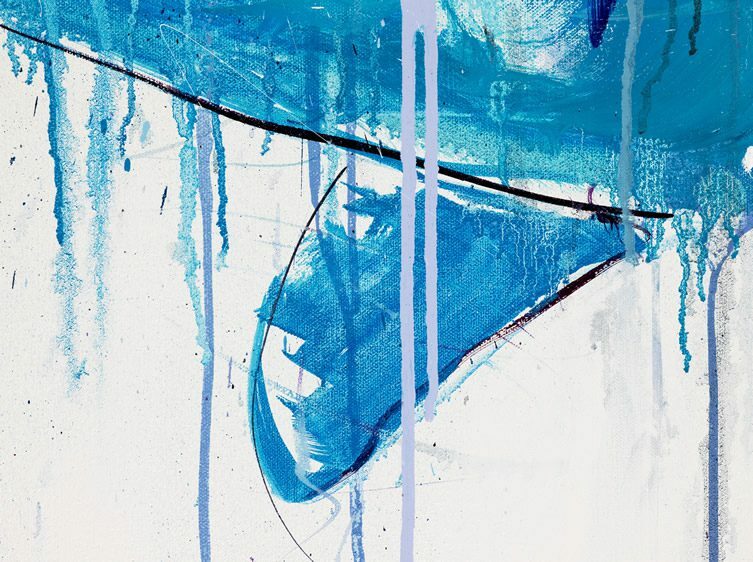 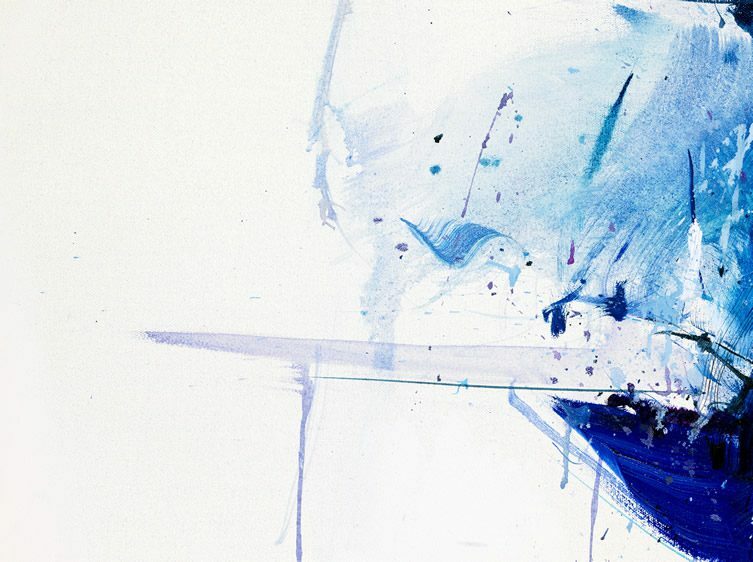 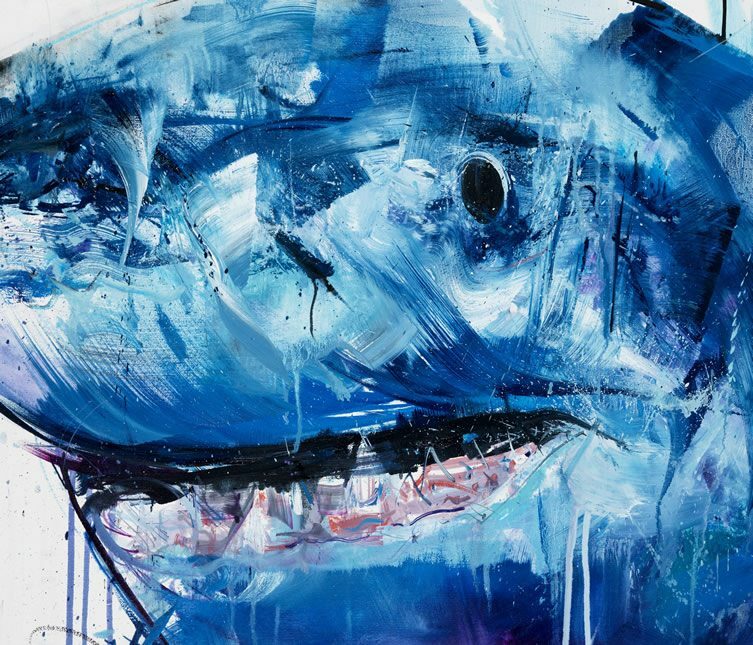 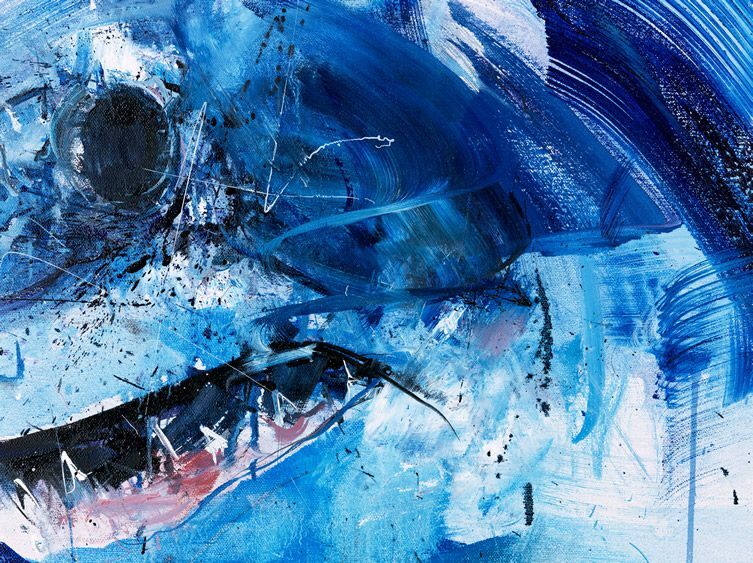 Just when you thought it was safe to go back into the galleries of Los Angeles… Apex, the title of British artist Dave White‘s new series, refers to the position that the Great White Shark occupies at the top of their oceanic food chain. 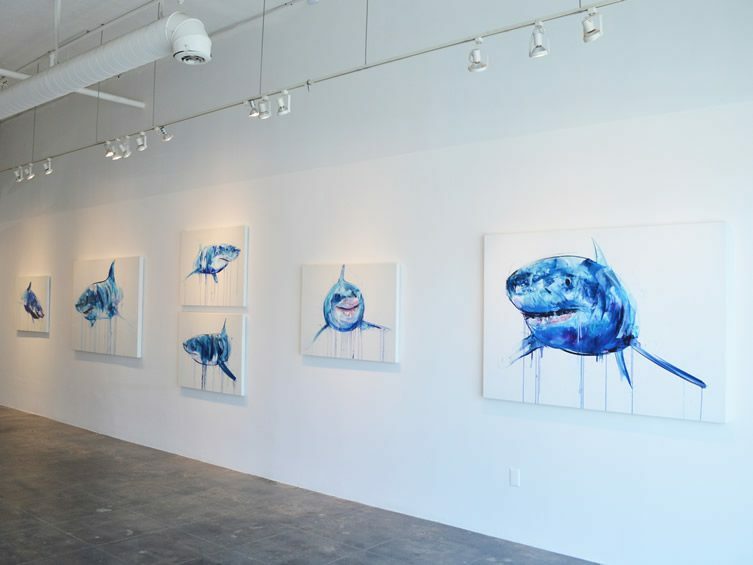 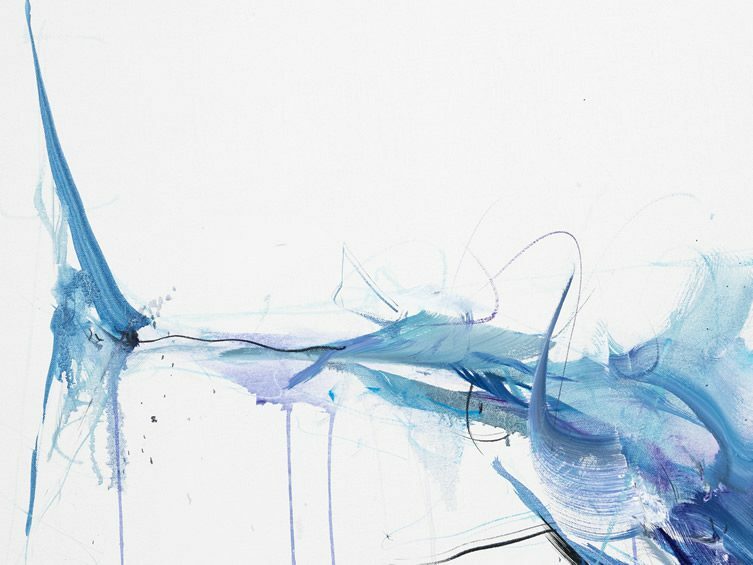 No one messes with these fearsome creatures, but White is one potential meal willing to take on the beast, in the art arena at least, and the captivating results rendered in oil on canvas are currently the subject of an acclaimed exhibition at GUSFORD in L.A.
Famed for being perfectly designed killing machines, the sleek shape of the Great White – tapered to a point at the tip of their tail and getting ever more terrifying towards the business end – is not only deadly but also supremely graceful. 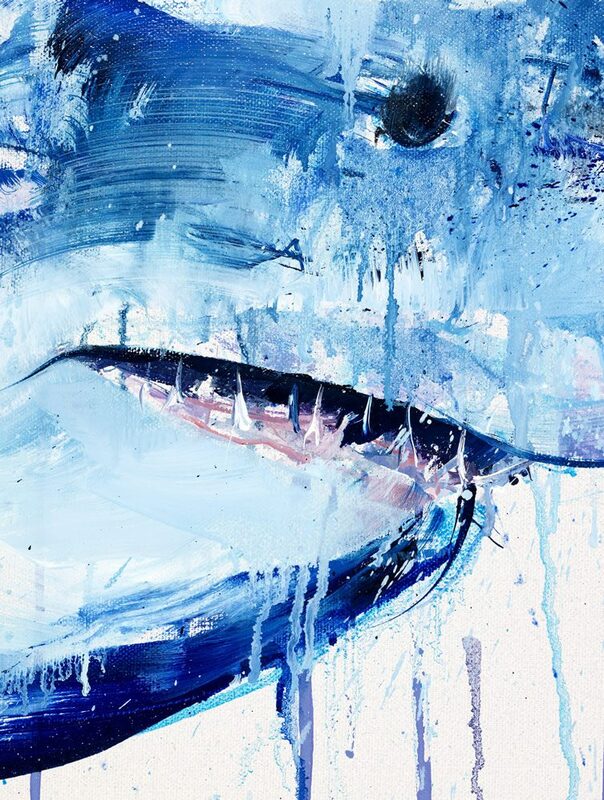 It’s an aspect of the animal that the artist has managed to capture brilliantly, while at the same time, through his drips, splashes and chopping strokes, portraying the shark’s capacity for sudden violent movement. 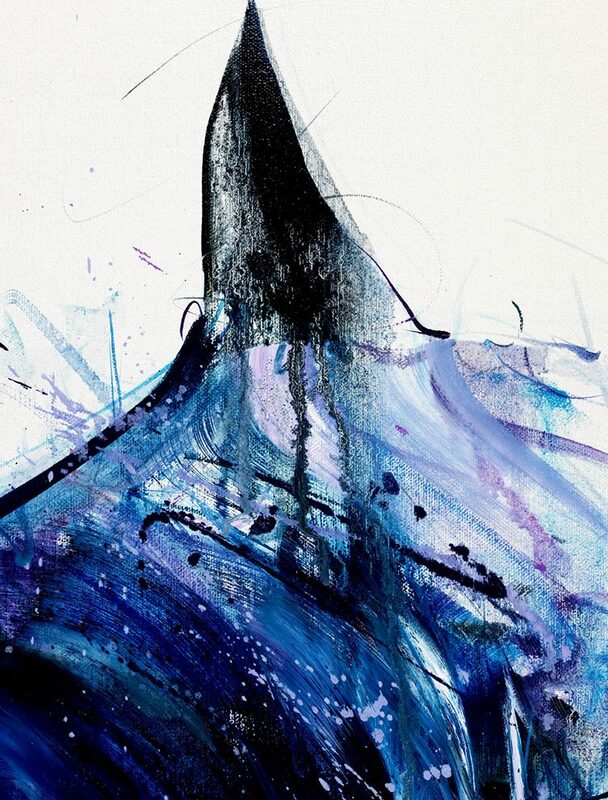 A limited edition Diamond Dust print has been produced especially for Apex, which runs until 21 June.